Anglesey has it’s own adjacent island in the north west corner, a smaller fractal image of the relationship between Wales and Anglesey; this island is Holy Island and in it’s north west corner, repeating the pattern again, is South Stack island. 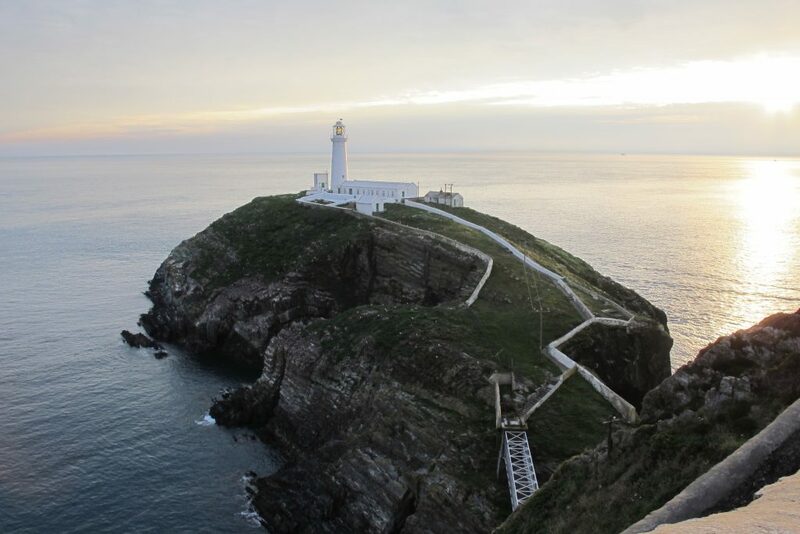 South Stack and the cliffs of the coastline in it’s immediate vicinity are home to massive colonies of seabirds. We parked at the first RSPB carpark on the road up to the cliffs and walked the rest of the way. 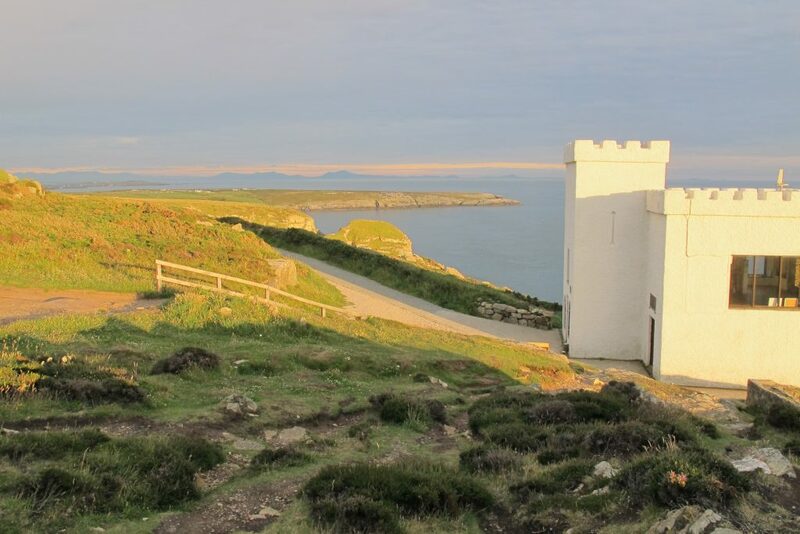 Near the top is a café and a separate RSPB centre with helpful staff, live cameras watching the birds and telescopes that can be used to view the cliffs. As soon as you breast the final curve of the hill on the approach to the island you can hear the birds. Their cacophony is such that you wonder why you couldn’t hear it from miles away. 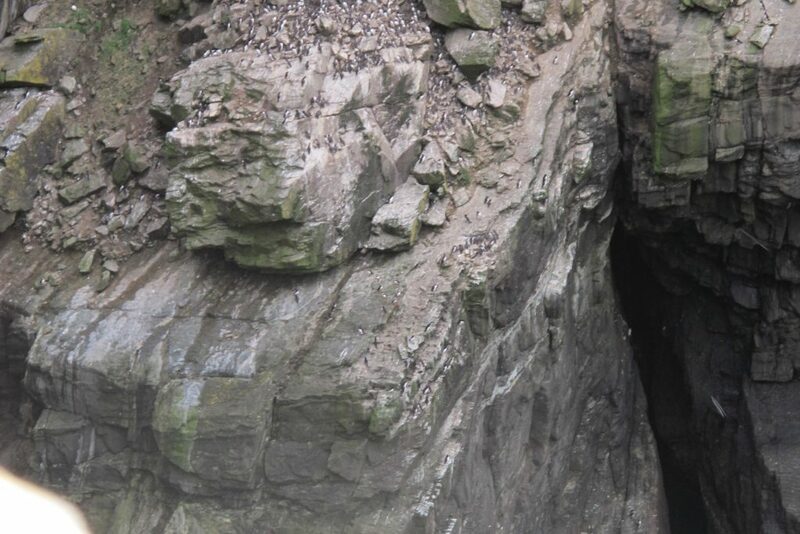 Thousands of – mostly – guillemots sitting on the cliff faces opposite you create a wall of noise as they jostle for their position on the ledges. You soon realise that what looks like rock in the distance is just more birds, closely packed in ranks along every crack and crevice that will hold them. This is a place where you can spend hours just watching and listening to the birds. When they aren’t sitting on the rocks they are the myriad specks you can see washing backwards and forwards on the sea, or the birds flying around and diving into the water. Although the guillemots for the larges group there are also razorbills, terns, gulls, kittiwakes, fulmars and the cutest member of the Auk family – the puffin. Puffins are hard to spot, but there is one thing that helps, most of the other birds here are monochrome, black, white or grey. But the puffins give themselves away, initially with their brilliant orange feet and then, less noticeably at a distance, with their iconic multi hued beaks. 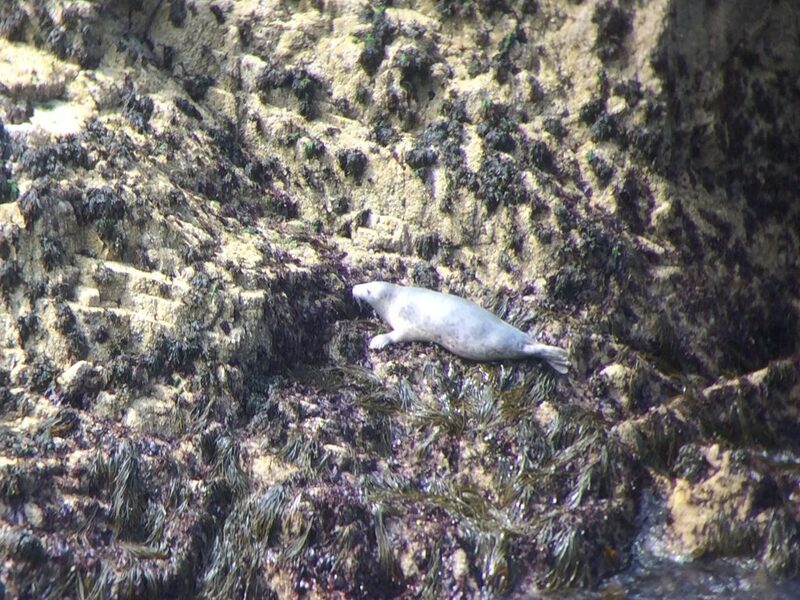 We spent ages trying to spot them on the cliffs, only finally being successful after overhearing another group talking about where they had seen them – on the cliffs facing south stack island. So that evening we walked down the steps to the bridge that crosses to the island and it’s lighthouse. From there we could see cliffs that had been hidden from view and finally we saw the tell tale splash of orange – only for that puffin to decide that it was time to retire for the evening (it did this by turning round and shoving it’s face into a crack in the rock – the fact that it’s backside was still completely exposed obviously wasn’t an issue). But now we had our eye in and we finally started to see more of them. It’s the first time we’ve seen them without having to go on a boat trip and it made me very happy. Who doesn’t love puffins? We spent two nights at the carpark near South Stack. It was a good atmosphere with campervans and motorhomes parking in various spots, and one chap who turned up on his bicycle and bivvyed overnight. We walked north and east on the first day which took us to North Stack island, and we walked south on the second day to the other area of RSPB reserve. 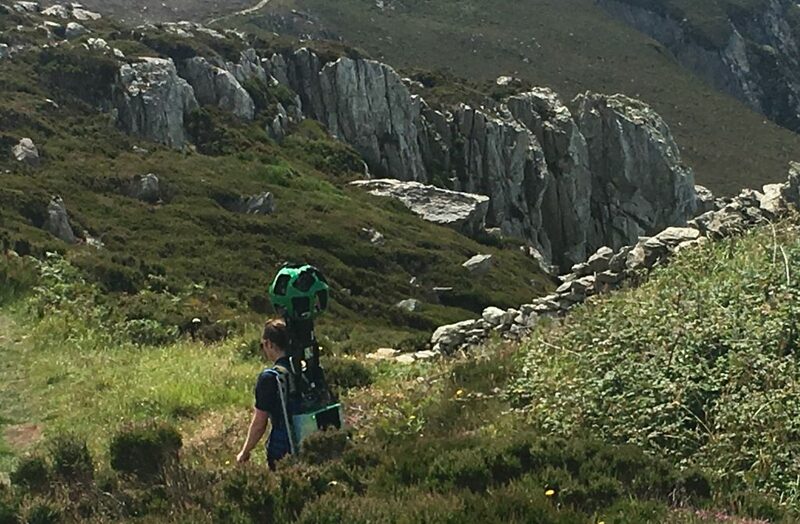 While we were out walking we spotted a girl with a google camera who was filming the trail for Google Trekker, a new (ish) endeavour that allows you to follow pathways as well as roads through google maps. 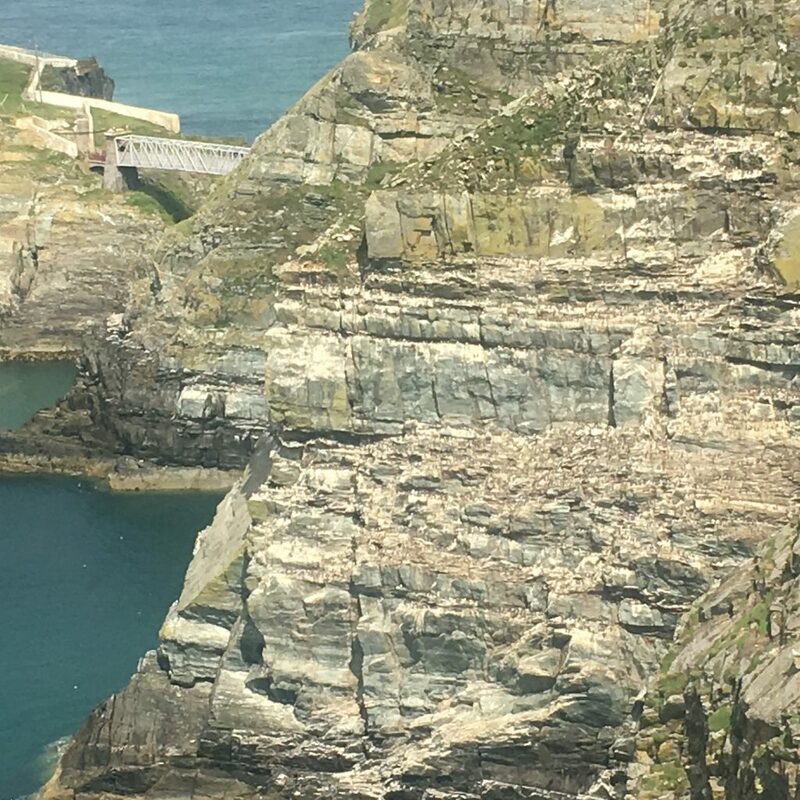 North Stack wasn’t as spectacular as South Stack, there were a lot less birds, but the walk there did have it’s moments – particularly the point at which we decided to do an ad-hoc scramble up the cliffs. This looked like a nice little route at first, a small stepped chimney between the rocks that went nearly to the top of the cliffs from our starting point which was already a good distance above the sea. When we got to the top of the chimney though there was an exposed slab that was canted at a slight angle, enough to make it feel like it would tip you back down into the waves a long way below. And beyond that slab was the final ascent of heather covered jumbled rocks that looked unpleasantly slippery without any nice handholds. Paul had already gone past the slab and didn’t want to come down, I didn’t want to go up the slab! There was a moment when I thought we were going to be the stupid people that have to call out the coastguard because we had chosen to do something we were completely unprepared for. However I managed to get my nerve up and cross the slab in a very ungainly way, and we’re still here and didn’t need to call the coastguard. Phew!